Why does Mumbai ka Marine Drive That Impresses every visitor ? Of the most irrelevant things Bollywood movies, the one thing that they do get right is - good company, alcohol, and an escape from your everyday life is a almost-perfect archaic receipt for a good time. At Marine Drive (or what feels like the edge of the ocean) fall in love with the sound of waves, mindless chatter, and cool winds brushing your hair. The expansive stretch front on to the ocean, a reverberant silence even in the midst of all the chaos, and the inexorable feeling of serenity - Marine Drive gifts all this and more. 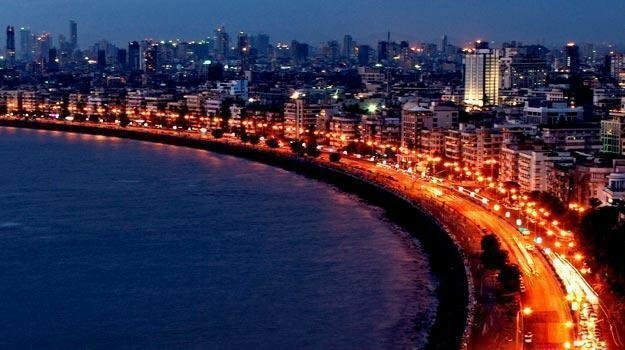 Whether dealing with break-up or a bad day at work, enjoying an unexpected surprise or a first date, Marine Drive is like the perfect canvas to throw life's situations at.